Most people’s experience of World Heritage is now a digital one. Whether it’s on social media, an official website, Wikipedia or a simple Google search, this shift in “visitation” means many people who engage with World Heritage will never physically travel to the actual site. The UNESCO World Heritage Committee is the top-tier organisation for the protection of natural and cultural heritage. To date, 1,073 properties have been listed for their significance to all of mankind. The list includes many well-known ancient monuments like the Pyramids of Giza, and the Parthenon, and natural sites like Uluru Kata-Tjuta. Less frequently recognised are industrial sites like the Rideau Canal and contemporary works of architecture such as the Sydney Opera House. The Sydney Opera House was listed in 2007, not only for its architectural and technical achievements as a masterpiece of modernism, but curiously also for its status as a world-famous iconic building. Digital visits to the Sydney Opera House now outnumber in-person visits by 16 to 1. Everyday digital engagements with the Sydney Opera House online. By 2019, half of the world’s people will have access to the internet. For most, the internet is essential to everyday life. The impact of this exponential growth of the internet on people’s engagement with World Heritage has been overlooked. Yet it has the potential to tell us about the close connections people have with some of our most esteemed places. Managing organisations are beginning to see the social and economic value of digital audiences. In 2013 the Sydney Opera House reported a digital reach of 128 million. Deloitte estimated this to be worth A$59 million. It’s the result of a media strategy to develop digital content, social media engagement, and participatory online events. The official media channels of the Sydney Opera House. But this is not the whole story. What about all the things people do online outside of the Sydney Opera House’s formal social media channels? We know that not everyone actively posts pictures, edits Wikipedia, or writes a blog. The 1% rule describes online participation. For every person who actively contributes content, nine others will like it. Another 90 will simply view the originally posted content. Adding up the number of followers across the official Sydney Opera House social media accounts (Facebook, Twitter, Instagram and YouTube) gives us an immediate audience of about 1.67 million. Using the 1% rule, this extrapolates to 167 million, which is similar to Deloitte’s 2013 figure. This is almost seven times Australia’s population and equivalent to 2% of the world population. World Heritage has never been so visible! But numbers are not the only story here. While impressive, they don’t tell us how people feel connected with such places. What can the internet tell us? My recent research investigates online forms of participation with the Sydney Opera House. Combining digital ethnography and data analytics enables us to better understand the social value of architectural icons and the implications for World Heritage. Popular depictions of the Sydney Opera House posted online include photographs, cakes, artworks, children’s books, Lego, other buildings and hats. By examining these we can understand people’s values and how they engage with this World Heritage site in everyday activities and in the process reshape the narratives being told. Six ways in which people engage with the Sydney Opera House revealed through their online participation. Close examination of online posts and activities reveals communities of people passionate about the Sydney Opera House. Participatory platforms such as Wikipedia and Flickr are filled with people dedicated to telling a comprehensive historically and visually accurate story about this place. But people are also discerning; they highlight that a single building cannot fully represent their city. Brands and organisations also reference the form of the Sydney Opera House in their logo types to gain cultural capital. Examples include the Sydney Swans, Sydney Mardi Gras and the Sydney 2000 Olympics. The varied references to this place in many different contexts show its power to create a social connection that transcends borders. What are the implications for World Heritage? A World Heritage listing brings an increase in visibility and visits. A listed site gains international recognition and cultural status as well as economic benefits through tourism. In the decade since the Sydney Opera House became a World Heritage site, annual visitors have doubled from 4 million to 8.2 million, audiences have grown from 1.2 to 1.5 million, and tours of the building have increased by a third. But World Heritage status comes with a need to preserve and conserve the listed site. For the Sydney Opera House, this means maintaining its iconic status. My research demonstrates how people’s participation through popular culture helps to maintain this iconic status. Through posting pictures on Instagram, or making “opera-house-shaped things” and sharing them online, people integrate this icon into their daily lives. But this also challenges the building’s copyright, which underpins corporate partnerships that provide funding in exchange for affiliation. Further, tourism can threaten the conservation of World Heritage properties. Too many visitors and excessive development puts pressure on local communities, management and facilities. International visibility can also make properties targets of political destruction. This raises questions about how World Heritage status is given and its implications for conservation in an increasingly digitally mediated world. The Sydney Opera House always held the promise of transformation of Sydney. Now global online communities are transforming it. In our inevitable digital future, what role people will play in ascribing and maintaining World Heritage status? UNESCO’s World Heritage Committee has issued its strongest decision yet about climate change, acknowledging the worldwide threat posed to many World Heritage properties. The decision (see pages 26-27 here), set to be adopted today at the completion of the Committee’s annual meeting in Krakow, Poland, “expresses its utmost concern regarding the reported serious impacts from coral bleaching that have affected World Heritage properties in 2016-17 and that the majority of World Heritage coral reefs are expected to be seriously impacted by climate change”. It also urges the 193 signatory nations to the World Heritage Convention to undertake actions to address climate change under the Paris Agreement’s goal of limiting global average temperature increase to 1.5℃ above pre-industrial temperatures. This decision marks an important shift in the level of recognition by the Committee tasked with protecting World Heritage properties, apparently jolted by the devastating bleaching suffered by the majority of World Heritage coral reefs around the world. In the past, the Committee has restricted its decisions to addressing localised threats such as water pollution and overfishing, choosing to leave the responsibility to address global climate change to other parts of the United Nations. In the preamble to its latest decision, the Committee has recognised that local efforts alone are “no longer sufficient” to save the world’s threatened coral reefs. But while this is an encouraging progression, some members of the Committee are still struggling to come to terms with addressing the global impacts of climate change. This is despite the impacts becoming more pronounced on other World Heritage properties, including glaciers, rainforests, oceanic islands, and sites showing the loss of key species. 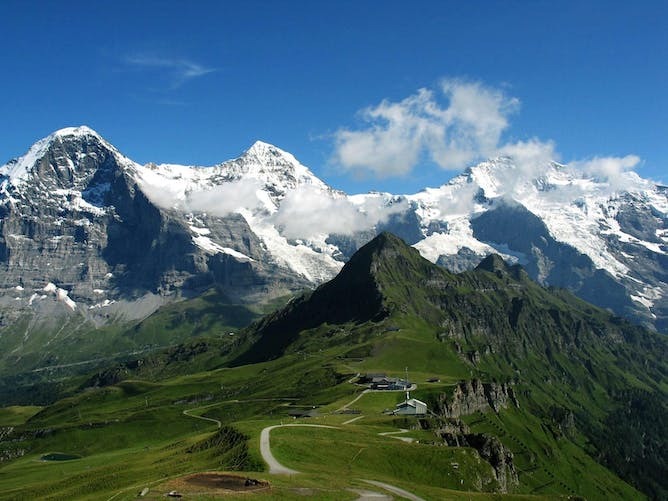 The World Heritage-listed glacial landscape around Jungfrau in the Swiss Alps. Last month, UNESCO’s World Heritage Centre released the first global scientific assessment of the impact of climate change on all 29 World Heritage-listed coral reefs that are “the jewels in the World Heritage crown”. The report paints a dire picture, with all but three World Heritage coral reefs exhibiting bleaching over the past three years. Iconic sites like the Great Barrier Reef (Australia), the Northwest Hawaiian islands (United States), the Lagoons of New Caledonia (France), and Aldabra Atoll (Seychelles) have all suffered their worst bleaching on record. The most widely reported damage was the unprecedented bleaching suffered by the Great Barrier Reef in 2016-17, which killed around 50% of its corals. The scientific report predicts that without large reductions in global greenhouse gas emissions, all 29 reefs will “cease to exist as functioning coral reef ecosystems by the end of this century”. Reefs can take 10-20 years to recover from bleaching. If our current emissions trajectory continues, within the next two decades, 25 out of the 29 World Heritage reefs will suffer severe heat stress twice a decade. This effectively means they will be unable to recover. It should also be noted that the majority of World Heritage coral reefs are far better managed than other reefs around the world, so the implications of climate change for coral reefs globally are much worse. Almost one-third of the world’s marine fish species rely on coral reefs for some part of their life cycle. There are also 6 million people who fish on reefs in 99 countries and territories worldwide. This equates to about a quarter of the world’s small-scale fishers relying directly on coral reefs. Half of all coral reef fishers globally are in Southeast Asia, and the western Pacific Island nations also have high proportions of reef fishers within their populations. In total, more than 400 million people in the poorest developing countries worldwide live within 100km of coral reefs. The majority of them depend directly on reefs for their food and livelihoods. Coral reefs provide more value than any other ecosystem on Earth. They protect coastal communities from flooding and erosion, sustain fishing and tourism businesses, and host a stunning array of marine life. Their social, cultural and economic value has been estimated at US$1 trillion globally. Recent projections indicate that climate-related loss of reef ecosystem services will total more than US$500 billion per year by 2100. The greatest impacts will be felt by the millions of people whose livelihoods depend on reefs. Recognising that the majority of the World Heritage coral reefs are expected to be seriously impacted by climate change is a good start. However, the Committee cannot afford to wait until similar levels of adverse impacts are evident at other natural and cultural heritage sites across the world. The World Heritage Committee and other influential bodies must continue to acknowledge that climate change has already affected a wide range of World Heritage values through climate-related impacts such as species migrations, loss of biodiversity, glacial melting, sea-level rise, increases in extreme weather events, greater frequency of wildfires, and increased coastal erosion. To help understand the magnitude of the problem, the Committee has asked the World Heritage Centre and the international advisory bodies “to further study the current and potential impacts of climate change on World Heritage properties”, and report back in 2018. Two of the key foundations of the World Heritage Convention are to protect the world’s cultural and natural heritage, and to pass that heritage on to future generations. For our sake, and the sake of future generations, let’s hope we can do both. The Great Barrier Reef has already been badly damaged by global warming during three extreme heatwaves, in 1998, 2002 and 2016. A new bleaching event is under way now. As shown in a study published in Nature today, climate change is not some distant future threat. It has already degraded large tracts of the Great Barrier Reef over the past two decades. The extreme marine heatwave in 2016 killed two-thirds of the corals along a 700km stretch of the northern Great Barrier Reef, from Port Douglas to Papua New Guinea. It was a game-changer for the reef and for how we manage it. Our study shows that we cannot climate-proof coral reefs by improving water quality or reducing fishing pressure. Reefs in clear water were damaged as much as muddy ones, and the hot water didn’t stop at the boundaries of no-fishing zones. There is nowhere to hide from global warming. The process of replacement of dead corals in the northern third of the reef will take at least 10-15 years for the fastest-growing species. The Great Barrier Reef is internationally recognised as a World Heritage Area. In 2015 UNESCO, the world body with oversight of World Heritage Areas, considered listing the reef as a site “in danger” in light of declines in its health. In response to concerns from UNESCO, Australia devised a plan, called the Reef 2050 Long-term Sustainability Plan. Its ultimate goal is to improve the “Outstanding Universal Value” of the reef: the attributes of the Great Barrier Reef that led to its inscription as a World Heritage Area in 1981. We have written an independent analysis, delivered to UNESCO, which concludes that to date the implementation of the plan is far too slow and has not been adequately funded to prevent further degradation and loss of the reef’s values. A major shortcoming of the plan is that it virtually ignores the greatest current impact on the Great Barrier Reef: human-caused climate change. The unprecedented loss of corals in 2016 has substantially diminished the condition of the World Heritage Area, reducing its biodiversity and aesthetic values. Key ecological processes are under threat, such as providing habitat, calcification (the formation of corals’ reef-building stony skeletons) and predation (creatures eating and being eaten by corals). Global warming means that Australia’s aim of ensuring the Great Barrier Reef’s values improve every decade between now and 2050 is no longer attainable for at least the next two decades. Address climate change and reduce emissions, both nationally and globally. The current lack of action on climate is a major policy failure for the Great Barrier Reef. Local action on water quality (the focus of the Reef 2050 Plan) does not prevent bleaching, or “buy time” for future action on emissions. Importantly, though, it does contribute to the recovery of coral reefs after major bleaching. Reduce run-off of sediment, nutrients and pollutants from our towns and farms. To date the progress towards achieving the water quality targets and uptake of best management practice by farmers is very poor. Improving water quality can help recovery of corals, even if it doesn’t prevent mortality during extreme heatwaves. Provide adequate funding for reaching net zero carbon emissions, for achieving the Reef 2050 Plan targets for improved water quality, and limiting other direct pressures on the reef. At this stage, we do not recommend that the reef be listed as “in danger”. But if we see more die-backs of corals in the next few years, little if any action on emissions and inadequate progress on water quality, then an “in danger” listing in 2020, when UNESCO will reconsider the Great Barrier Reef’s status, seems inevitable. This article was co-authored by Diane Tarte, co-director of Marine Ecosystem Policy Advisors Pty Ltd. She was a co-author of the independent report to UNESCO on the Great Barrier Reef. the first area [in Australia] exclusively listed for its Aboriginal culture and heritage and it is absolutely an appropriate recognition of its significance and its values. So what warrants the area’s inclusion on UNESCO’s esteemed World Heritage list? At its core, this is a story about the Gunditjmara and their continuing relationship with the Budj Bim cultural landscape. It is also a story about how the Gunditjmara have successfully fought to overturn European misunderstandings of the complexity and sophistication of their culture and history. 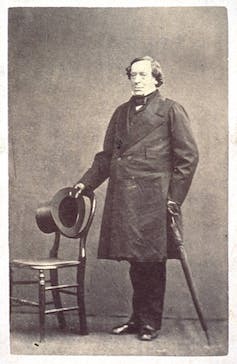 This story of misunderstandings begins with an 1841 expedition to southwest Victoria by the Chief Protector of Aborigines, George Augustus Robinson. an immense piece of ground trenched and banked, resembling the work of civilized man but which on inspection I found to be the work of the Aboriginal natives, purposefully constructed for catching eels. Robinson estimated that the system of channels measured “some thousands of yards” (2 km) in length and covered an area of “at least 15 acres” (6 hectares). His findings were not what early settlers of the colony wanted to hear. Colonial settlement was about removing nomadic savages, not tillers of the land. The evidence was either ignored as an inconvenient truth or dismissed as evidence of “irrigation” by a superior race of cultivators living in Australia prior to the coming of the Aborigines. It took another 135 years for more appreciative European eyes to examine the scale and complexity of western Victoria’s Aboriginal fishery. In the 1970s, Dr Peter Coutts of the Victoria Archaeological Survey carried out site surveys at Lake Condah (Tae Rak), the centerpiece of the Budj Bim cultural landscape. Lake Condah is very different to the marshy plains near Mt William. It is a rugged lava flow terrain of basalt rises, swampy depressions, and waterways formed as a result of the eruption of Mt Eccles (Budj Bim) at least 30,000 years ago. 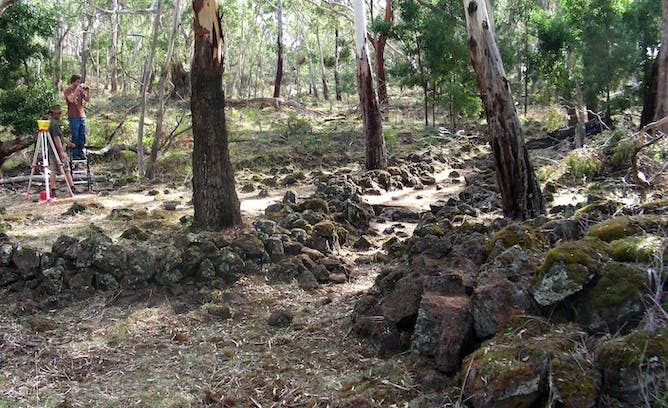 Coutts and his team found what local Gunditjmara people had long known about – extensive Aboriginal fish trapping systems comprising hundreds of metres of excavated channels and dozens of basalt block dam walls constructed over innumerable generations before European contact. Coutts estimated that the volume of basalt blocks moved measured in “the many hundreds of tonnes”. A 200 metre long fish trap channel mapped by Peter Coutts’s team at Lake Condah. 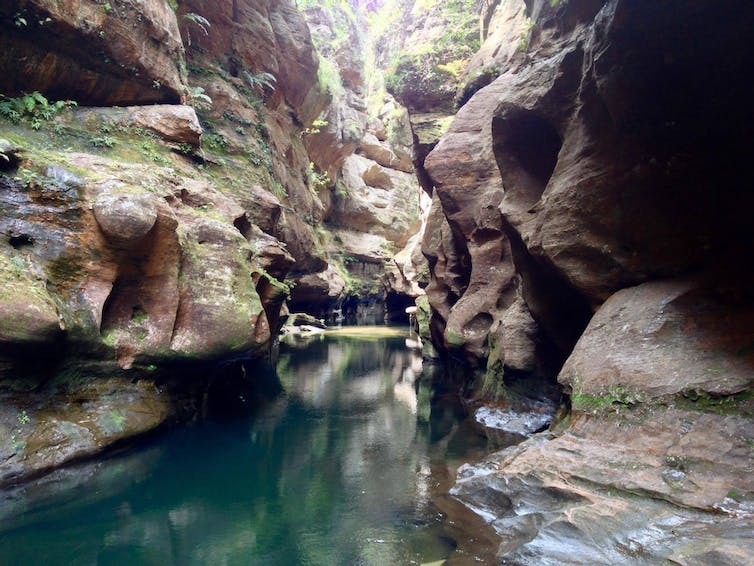 Determining how the Budj Bim traps operated was made difficult after European alteration of Lake Condah’s water flows through installation of drainage channels in the 1880s and 1950s. Luckily, heavy winter rains in 1977 revealed how some Aboriginal-made channels fed water and eels into natural depressions that Coutts termed “holding ponds”. In addition, numerous C-shaped basalt block structures, averaging around 3-4 metres across, and representing house foundations – possibly clustered into villages – were recorded in the same area as the fish traps. Coutts hypothesised that the fishing facilities were up to 3500 years old, based on radiocarbon dating of habitation sites in the region such as earthen mounds and shell middens. Reconstruction of ancient water levels in Lake Condah by pollen expert Leslie Head revealed that while some traps could have operated 8000 years ago, most traps corresponded to water levels of the past 2000 years. Working at the same time as Coutts was Harry Lourandos, a PhD researcher from the University of Sydney. Lourandos examined Robinson’s journals in detail and investigated a huge Aboriginal fish trap at Toolondo, 110 km north of Lake Condah. Here again was further evidence of Aboriginal people digging an earthen channel (some 3 km long) to move eels into a swamp to dramatically increase their range and availability. Lourandos’ excavations revealed that it was up to 2.5 m wide and over one metre deep. A “lump” of redwood buried within infill sediments at the base of the channel was radiocarbon dated to 200 years, indicating a minimum date for last use of the site. An original construction date for the channel has yet to be determined. Aware of Coutts’ Lake Condah holding ponds, Lourandos had the intellectual foresight to call the Toolondo and Mt William facilities for what they were – eel “farms” associated with eel traps. 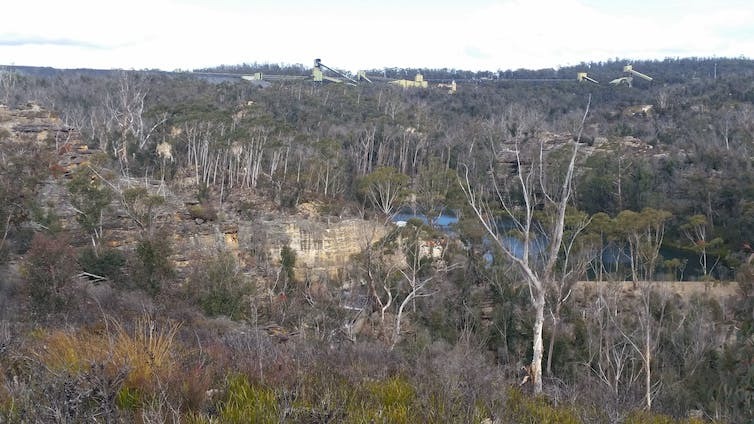 In the 1990s and 2000s, Heather Builth, a PhD researcher from Flinders University, worked closely with the Gunditjmara to create sophisticated 3D computer maps of channels and basalt block dam walls and fish traps along Darlot Creek (Killara) at the southern end of the Budj Bim cultural landscape. Builth computer modelled water levels and revealed that these stone features were constructed across the lava flow to form a complex system of artificial ponds to hold flood waters and eels at different stages of growth. These holding ponds allowed eels to grow in a restricted and protected area and be available to the Gunditjmara for much of the year. Critically, increasing the availability of the eels centred on improving eel survival given that the eels breed in the Coral Sea. Builth described this complex network of ponds as “aquaculture”. The funnel shaped start of Muldoons trap system, Lake Condah. The most recent insights into the Budj Bim fishing facilities concern their antiquity. Over the past decade, myself and students from Monash University, in collaboration with the Gunditjmara, have excavated Muldoons trap system at Lake Condah, which had been partly buried over the years by flood sediments. Radiocarbon dating of tiny charcoal fragments within these sediments produced surprising results. One channel was built at least 6600 years ago, while a dam wall was added 500 years ago. Not only had we discovered the world’s oldest known stone walled fish trap, but also the longest used fish trap in the world. 3D computer modelling by Tom Richards as part of this PhD research at Monash indicated that the Muldoons dam was used to pond water and fish. This pond provides the earliest available date for Gunditjmara aquaculture. These large-scale fishing facilities and associated aquaculture ponds rupture traditional representations of Aboriginal people as simply hunter gatherers. Lake Condah with its rugged basalt lava flow features in the Budj Bim cultural landscape. Rather than living passively off whatever nature provided, the Gunditjmara actively and deliberately manipulated local water flows and ecologies to engineer a landscape focused on increasing the availability and reliability of eels. Manipulation of the landscape involved stone structures (such as traps and channels) dating back at least 6600 years with eel aquaculture facilities (ponds and dam walls) pre-dating contact with Europeans by many hundreds (and possibly thousands) of years. As Lourandos pointed out more than three decades ago, and Bruce Pascoe reveals in his recent award-winning book Dark Emu, differences between hunter gatherers and cultivators, and foragers and farmers, are far more complex and blurred than we once thought. The Budj Bim cultural landscape provides an outstanding example on a world stage of the scale, complexity, and antiquity of a well preserved Aboriginal fishery that continues into the present. 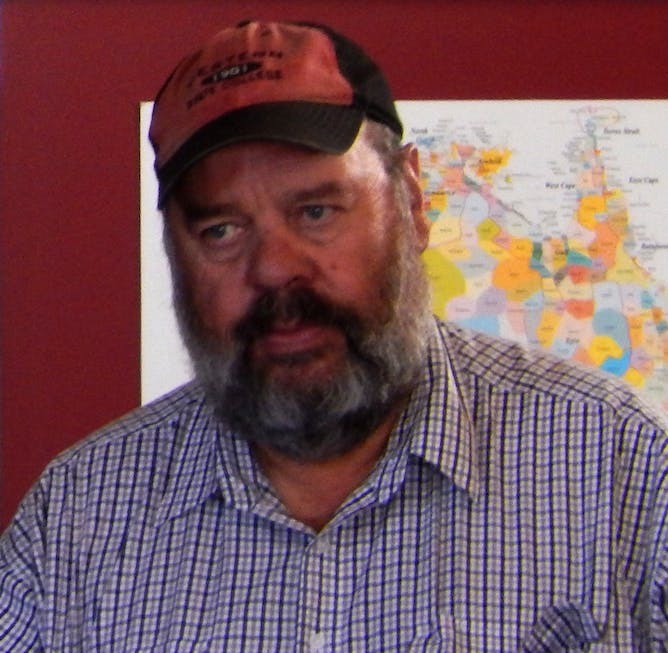 And it is an exceptional example of Aboriginal environmental manipulation and management that blurs the distinction between foragers and farmers. 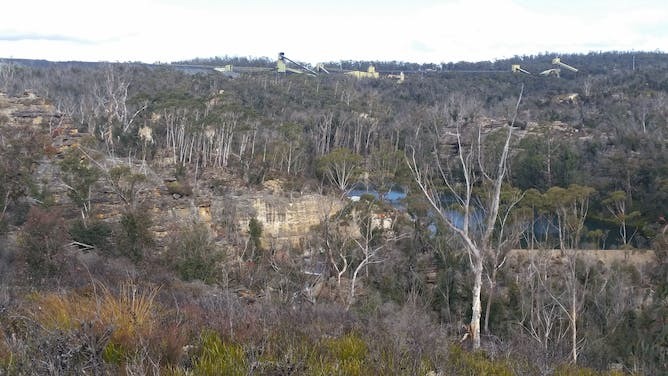 Over the next year or so, a formal World Heritage nomination will be prepared by the Victorian government spearheaded by the Gunditjmara for submission to UNESCO’s World Heritage Committee. The evaluation of the nomination by the committee will be thorough. It will compare Budj Bim to similar types of places around the world. The case is strong but it will be a number of years before the committee makes a final decision. It’s one of those secrets that are a bit too well kept, I suppose. But we are involved in tourism and we do want to get people out on country a bit more and have access to properties to get a better understanding of Gunditjmara culture. So what will you see if you go there? Hundreds of Gunditjmara stone-walled fishing facilities and stone house foundations are located along the 30 km length of the area. However in many cases, these low-lying sites are on private land and are hard to see through the long grass that covers much of the lava flow. Australia has come a long way since GA Robinson’s recordings of Aboriginal social and technological complexity were sidelined. Would we knock down the pyramids or flatten the Acropolis to make way for housing estates, roads or farms? You would hope not. Such an indictment would deprive future generations of the joy and marvel we all experience when visiting or learning about such historic places. Yet right now, across our planet, many of the United Nations’ World Heritage sites that have been designated for natural reasons are being rapidly destroyed in the pursuit of short-term economic goals. In our paper published in Biological Conservation, we found that expanding human activity has damaged more than 50 of the 203 natural sites, and 120 have lost parts of their forests over the past 20 years. Up to 20 sites risk being damaged beyond repair. So how can we better look after these precious sites? Globally recognised areas that contain the Earth’s most beautiful and important natural places are granted natural World Heritage status by UNESCO (the United Nations Educational, Scientific and Cultural Organisation). Each natural World Heritage site is unique and therefore irreplaceable. Current sites include iconic landscapes such as Yosemite National Park in the United States, and important biodiversity conservation areas such as Serengeti National Park in Tanzania. Wildebeest gather at the river’s edge on migration in Serengeti National Park. The World Heritage Convention strives to protect natural World Heritage sites and keep their condition as close to pristine as possible. As with those hundreds of cultural World Heritage sites such as Petra and Masada, no human modification or damage is acceptable. These sites are the natural world’s crown jewels. We examined the degree of human pressure (including roads, agriculture, urbanisation and industrial infrastructure) and direct forest loss across areas with natural World Heritage status. These changes are not compatible with maintaining the natural heritage of these places. And should sites be damaged beyond repair, we will have lost some of the common heritage of humankind forever. We found that human pressure within sites has increased in every continent except Europe over the last two decades. Asia is home to the worst-affected sites, including Manas Wildlife Sanctuary in India, Komodo National Park in Indonesia, and Chitwan National Park in Nepal. Development has also badly affected Simien National Park in Ethiopia and it has been listed as World Heritage “in danger”. European sites, such as St Kilda, were already highly modified 20 years ago and have largely remained as such since then. 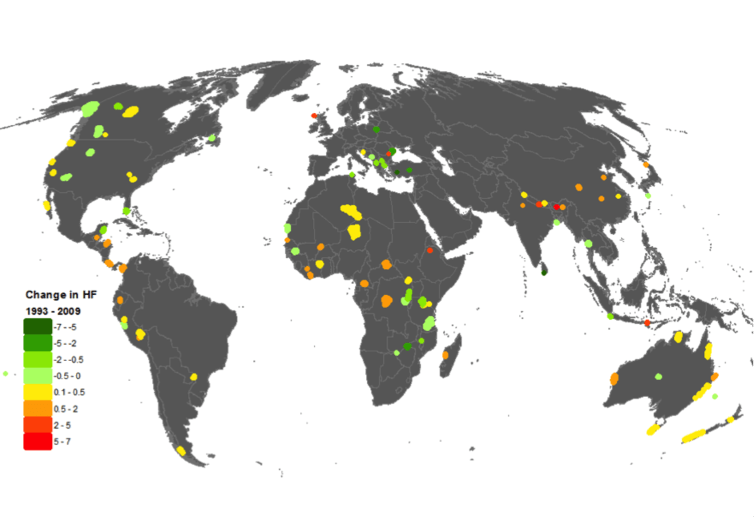 Change in human footprint between 1993 and 2009 across natural World Heritage sites inscribed prior to 1993. Sites that experienced an increase (which may threaten their unique values) are shown in red, while sites that experienced a decrease are shown in green. Site boundaries are not to scale and have been enlarged for clarity. A majority of the sites have lost areas of forest. Wood Buffalo National Park in Canada lost 2,581 square kilometres (11.7%) and Río Plátano Biosphere Reserve in Honduras lost 365 square km (8.5%) of forest since 2000. The processes behind why the sites lost forest cover are diverse. In the Río Plátano Biosphere Reserve, also “in danger”, illegal drug trafficking created insecurity and instability in the region, which allowed widespread illegal deforestation and illegal settlement to occur. 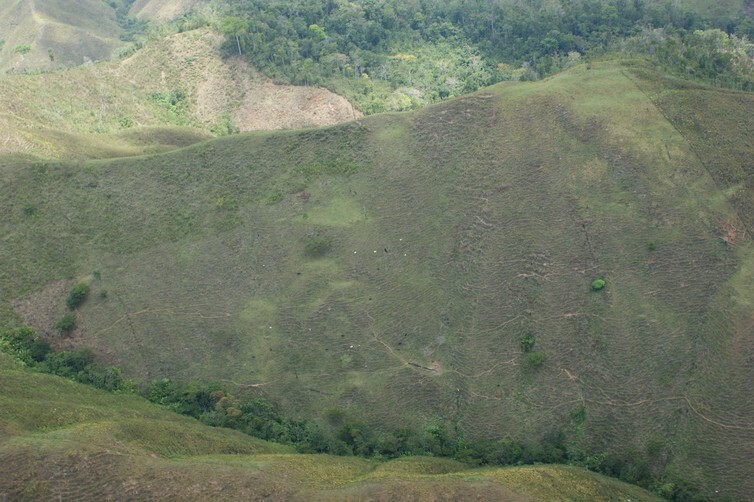 Deforestation in Patuca National Park in Honduras. In North America, even celebrated places like Yellowstone have been affected, losing some 6% of forest cover. This, and the losses in Wood Buffalo National Park, is almost certainly due to the largest pine beetle outbreaks on record. These are stripping trees of foliage and making them more susceptible to fire. Although pine beetle damage is a semi-natural phenomenon, it is being assisted by human-caused climate change, as winters are no longer cold enough to kill off the beetles. This is notoriously hard to manage on the ground, but instead requires the United States and Canada to strengthen their efforts to fight climate change nationally and on the global stage. The 192 signatories to the World Heritage Convention need to respond to these findings. 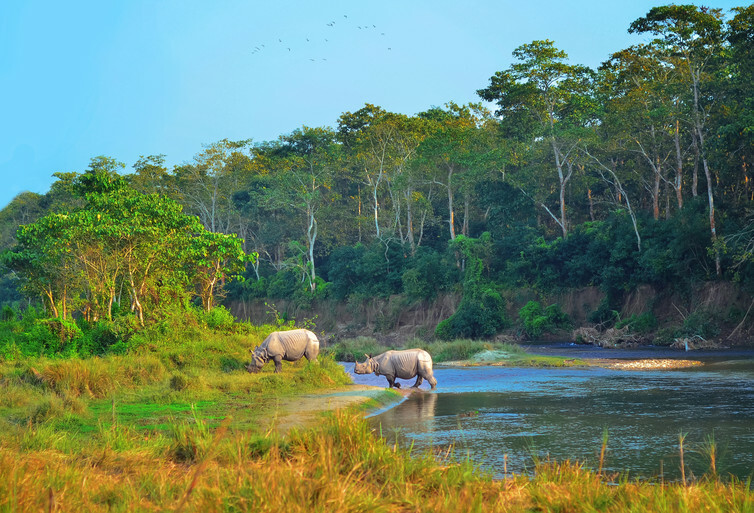 The World Heritage Committee must use information like this to immediately assess these highly threatened sites and work with nations to try to halt the erosion. The UNESCO World Heritage Committee meets again this July in Poland. It is not too late; with urgent intervention most sites can still be retained. 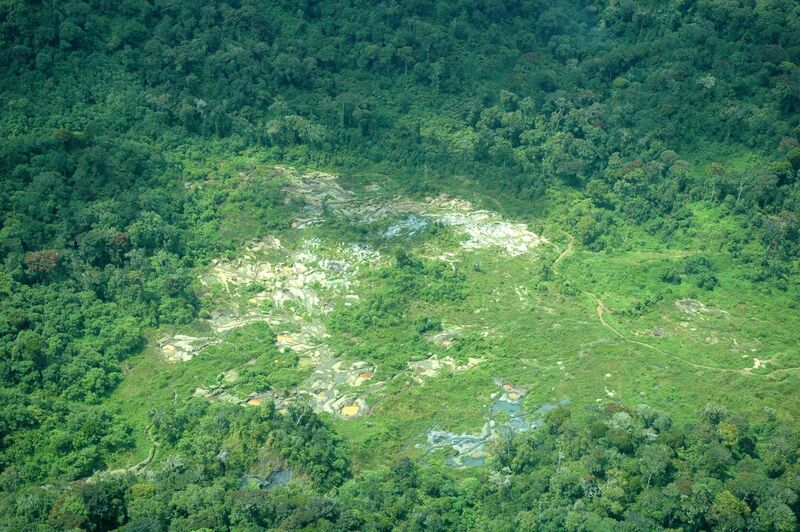 A mining site in Kahuzi Biega Park, Democratic Republic of the Congo. The method we have used makes it much easier to identify natural World Heritage sites that may need to be added to the “in danger” list so extra attention and resources are channelled towards saving them. Sites such as Río Plátano Biosphere Reserve, which have lost so much forest in such a short time, need to be identified and those nations supported in averting further decline. Ultimately, World Heritage status can be retracted if the values a site is listed for are undermined. This would be an international embarrassment for the host nation. The global community can play a role by holding governments to account so that they take the conservation of natural World Heritage sites seriously. We already do this for many of our cultural sites, and it is time to give natural sites the equal recognition and support they deserve. Just as we would defend the Colosseum in Rome, Petra in Jordan, or Mont St Michel in France, we must fight against the planned highway across the Serengeti in Tanzania, uranium mining in Kakadu and logging of the Styx Valley in Australia, and forests being cleared for agriculture in Sumatra, Indonesia. This work is a call to action to save our natural world heritage.